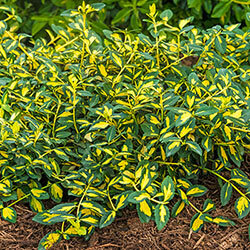 Add texture anywhere you need it with Moonshadow Euonymus. Perfect for sprucing up a garden bed or border, with a useful dwarf habit for ground cover. 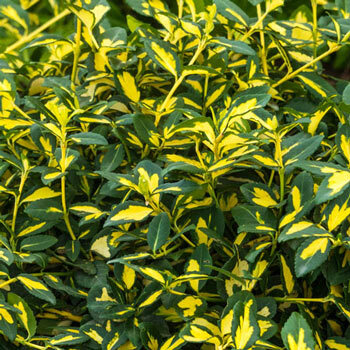 Dark green margins encircle the yellow centers of each narrow leaf. In fall and winter, the centers are touched with pink. 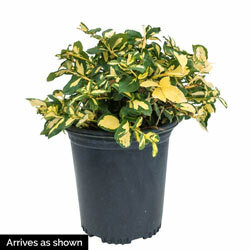 We're shipping Moonshadow Euonymus right now, more established and ready to put on a show. Foliage Type: Evergreen leaves approximately 1" long, variegated. 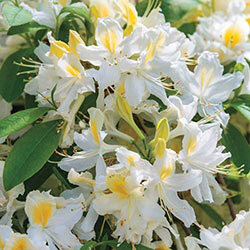 Planting Instructions: Thrives in moists, well drained soil.